Response: This is the first study ever to combine maternal and pediatric health outcomes from breastfeeding into a single model. We had published a cost analysis of suboptimal breastfeeding for pediatric disease in 2010, which found that suboptimal breastfeeding cost the US $13 billion in costs of premature death costs and medical expenses, and 911 excess deaths. We followed that up with a maternal cost analysis which found about $18 billion in premature death costs and medical expenses. In both these studies, most of the costs were from premature death. We were unable to combine the results of these two studies because their methodologies were different, and both of them, especially the pediatric portion needed to be updated. Response: The most impressive findings were that most of costs and excess deaths were in mothers, not children. There were 3,340 excess premature deaths, 78% of which were in mothers. We found that combined premature death cost was $14.2 billion, the combined medical costs were $3 billion, and the combined indirect medical costs were $0.5 billion. Of the medical costs, 79% of these were maternal as well. The impact on certain diseases of infancy is very large, especially for prevention of ear infections and gastrointestinal infections. However, the impact on women’s health is quite remarkable. The number of women needed to breastfeed optimally to prevent one ear infection in infants is 0.8, one case of infant gastrointestinal infection is 3. But the number needed to prevent a case of maternal hypertension is 55, type 2 diabetes is 162, and myocardial infarction (heart attack) is 235. For every 597 women who optimally breastfeed, one maternal or child death is prevented. Response: We need to start looking at breastfeeding as a women’s health issue, not just a children’s health issue. When we counsel women, we need to emphasize the benefits to their health. We need policies, like worksite support and paid leave, that allow women to breastfeed their children for at least a year, because that is how they reduce their risk of death and disease. Breastfeeding should not be an issue for the so-called “mommy wars.” This is a women’s health issue. We need to put women’s health dollars into investing in breastfeeding support. Response: It would be helpful to do some economic analyses more on paid leave and how that would affect the economy vis a vis breastfeeding. It would also be helpful to research more strategies on how best to support mothers of preterm infants to provide their own milk to their infants. For these infants, their milk is lifesaving, yet many of these mothers now have to choose between their infants’ health and life, and their own economic security. Researching whether we should be providing paid leave to at least these mothers would be worthwhile. 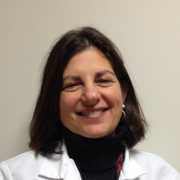 This entry was posted in Author Interviews, Brigham & Women's - Harvard, OBGYNE, Pediatrics and tagged breastfeeding, ObGyne, pediatrics by Marie Benz MD FAAD. Bookmark the permalink.